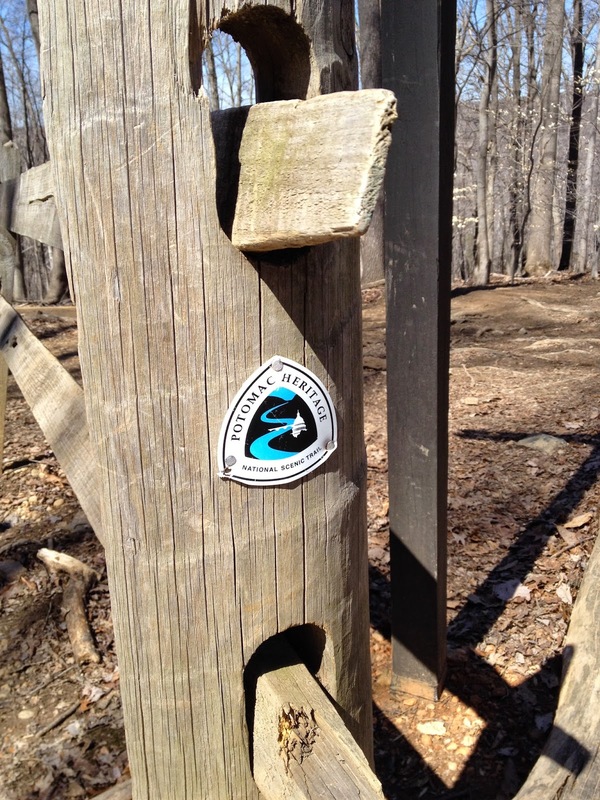 The North Face Endurance Challenge Series DC event is just weeks away! 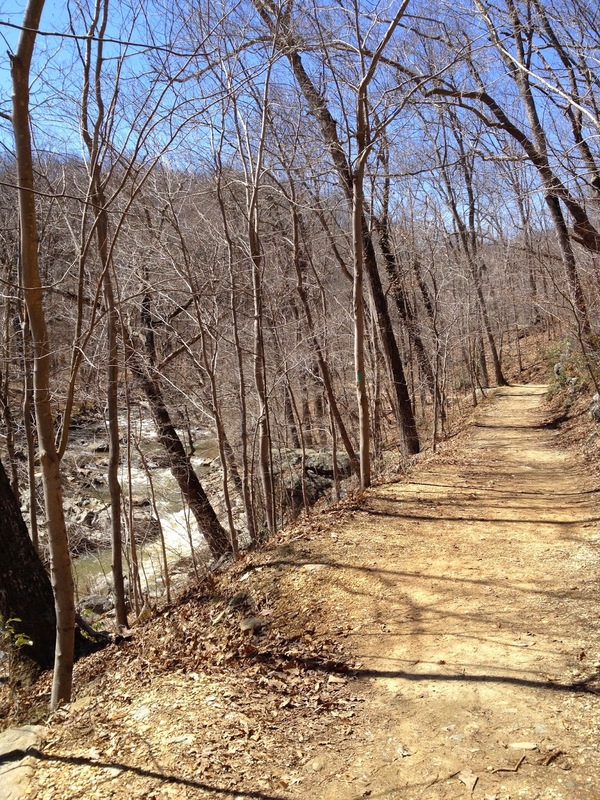 For those of you running the 50K and 50 miler, the course goes through a beautiful network of trails in Great Falls Park. 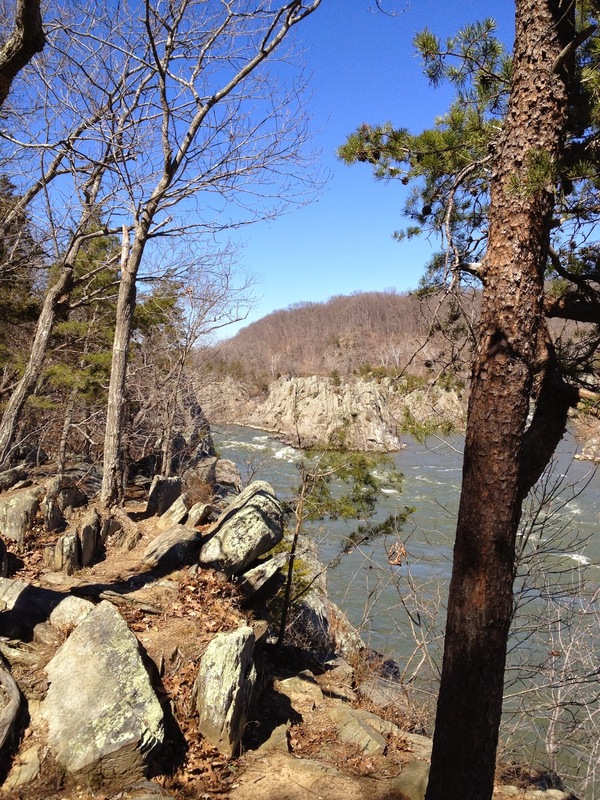 This past weekend I ran the Great Falls loop to scope out the trail conditions and take photos to share with you all. 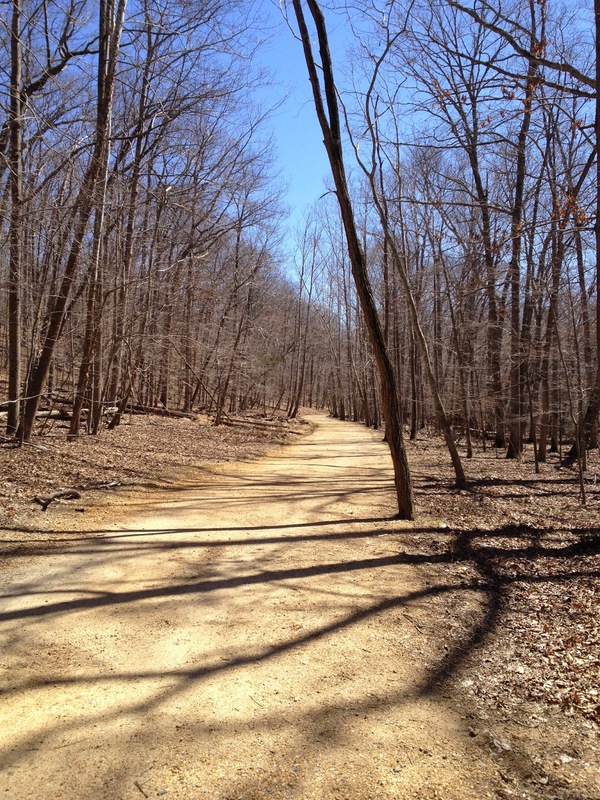 The trails are in great shape and should provide excellent conditions on race day. 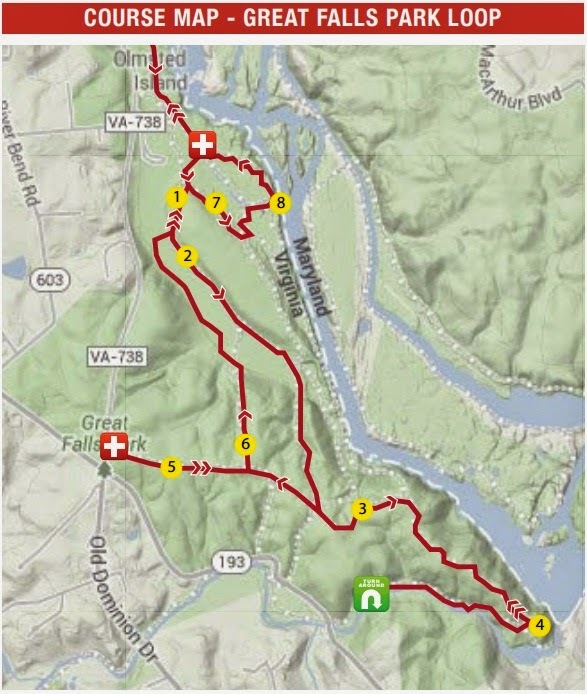 Below is a map of the Great Falls loop from the course guide, which you can download from the race website if you have not done so already. I will use the numbering on this map to describe the various sections of the course. The trails in the Great Falls loop are fairly non-technical with about 500 feet of vertical gain, according to my Garmin. However, it should be noted that I ran the 50K loop, which a slightly shorter than the 50 mile loop. 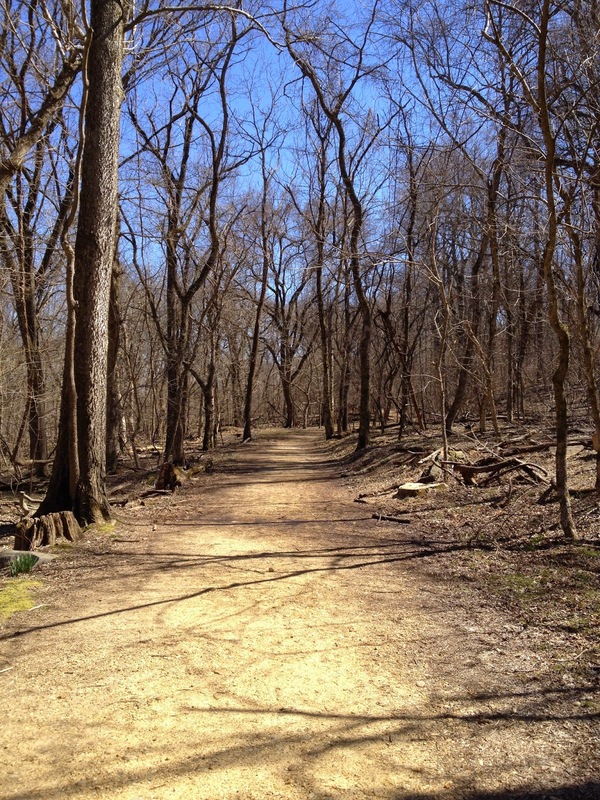 Between sections 7 and 8 on the course map, the 50 mile runners will run an out and back on Matildaville Trail before running along River Trail. 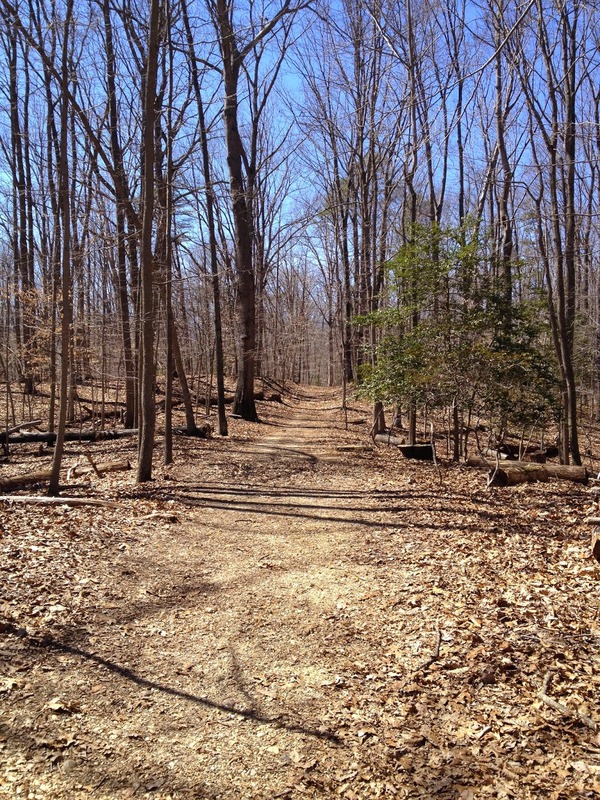 Shortly after heading out of the Great Falls aid station you will join Old Carriage Road, which is a wide fire road. 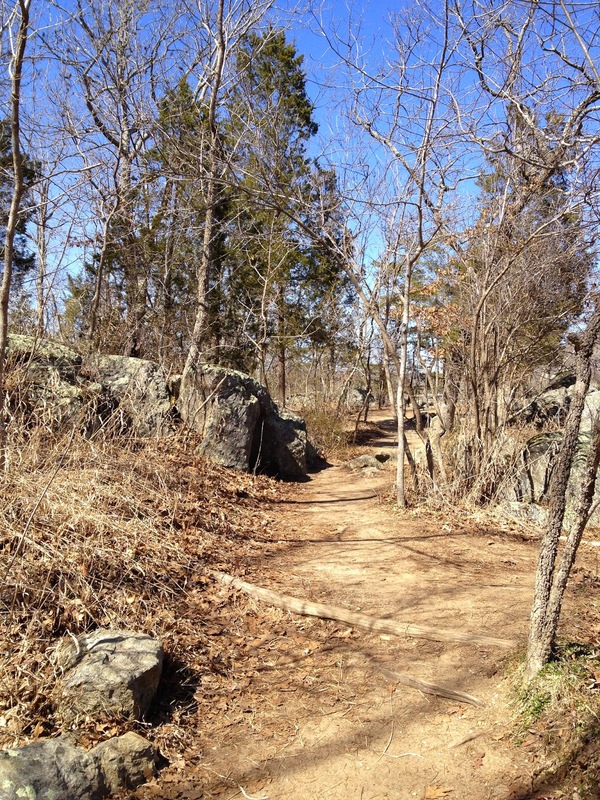 After a good chunk of single track running leading up to Great Falls, this part of the course will give you a nice place to stretch out your stride and break out into song and dance, if you desire. At the end of Old Carriage you will turn left onto Ridge Trail. 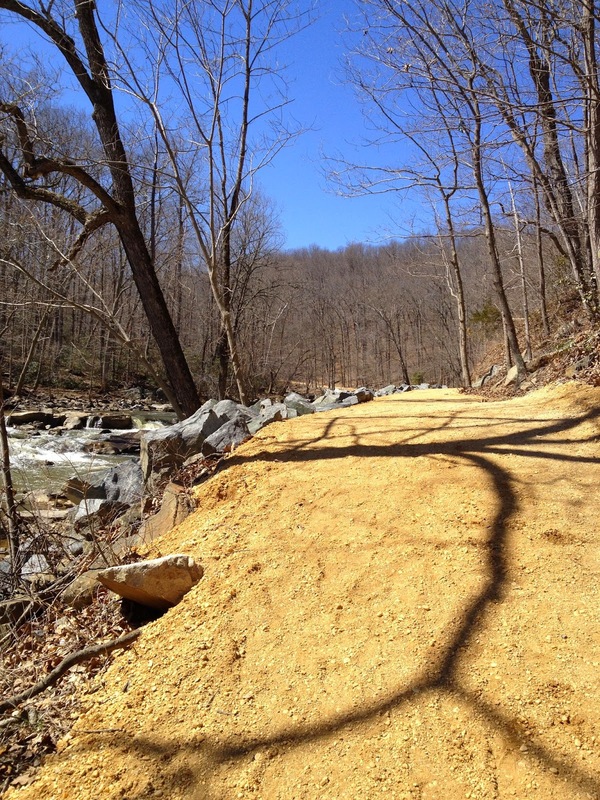 At many points along this trail you will be able to catch some nice views of the Potomac River below you. 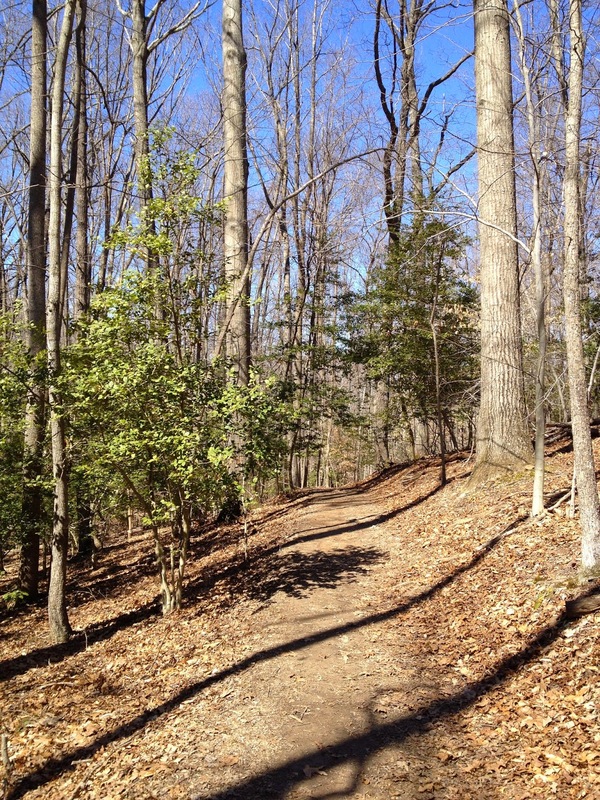 At the end of the Ridge Trail, you will bear right onto Difficult Run. 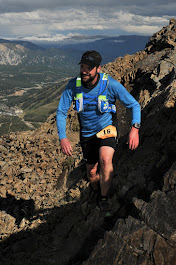 This part of the course is a lot of fun because you are already running downhill as you come off Ridge Trail and then you get to bomb down Difficult Run -- but keep in mind you'll have a moderate climb on the way back up. At the bottom of the decent, you will parallel the Difficult Run Stream all the way to the turn around at the now repaired washout. Difficult Run washout repair. Trail crews did a great job! After running back up Difficult Run, you will turn left onto Ridge Trail and follow it all the way to the next aid station, Old Dominion. Once you're done refueling at Old Dominion, you will turn around and head back down Ridge Trail until you reach the Swamp trailhead. 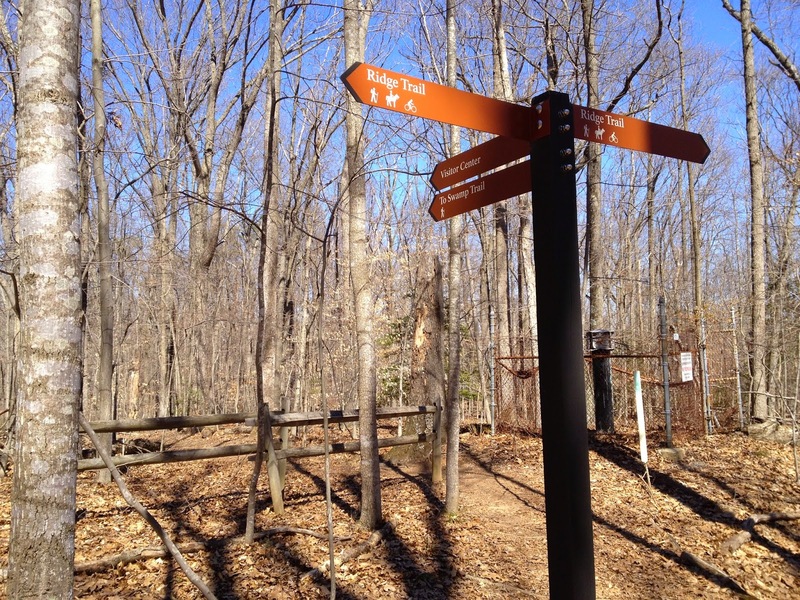 From Ridge Trail, you will turn left onto Swamp Trail. Shortly after starting down Swamp there is a fun switchback-esque decent, but watch your footing as there are roots begging to catch your toe. After the decent, you will continue on Swamp until it reconnects with Old Carriage Road. You will turn left onto Old Carriage and stay on it briefly until you reach Matildaville Trail. From Old Carriage you will turn right onto Matildaville Trail. 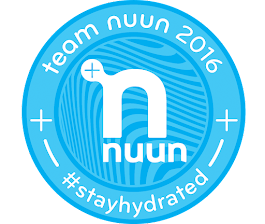 If you're a 50K runner, don't get too cozy on Matildaville because you will soon turn off it and run on along the River Trail. In my opinion, River Trail is the most technical (and beautiful) section of the Great Falls loop. This section of the course has great views of the Potomac River, but be careful not to look too long or a rock will catch your toe. Best to take a little breather and enjoy the view! 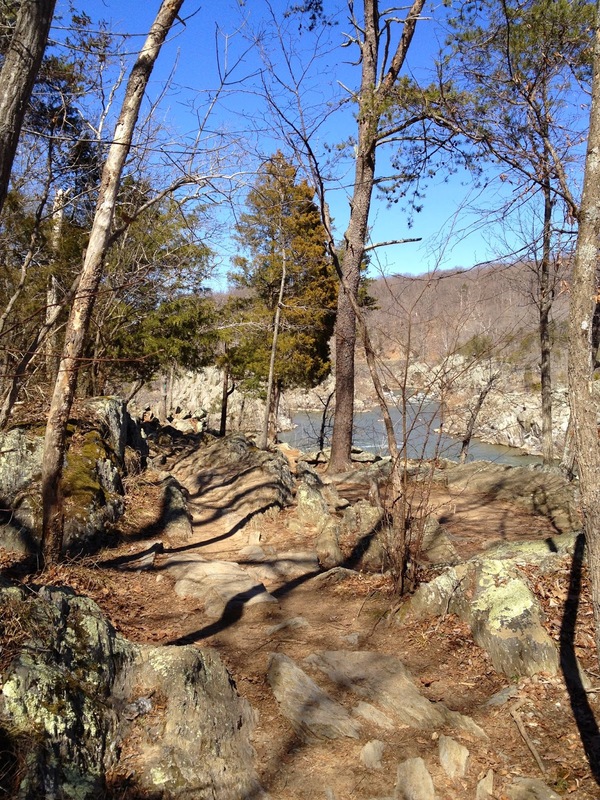 The River Trail will lead you back up to the Great Falls aid station to complete your loop. 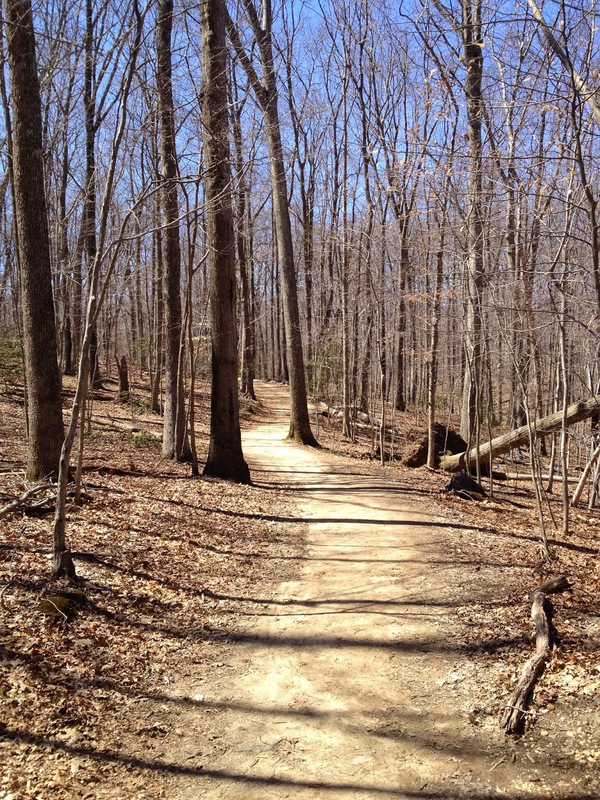 If you're a 50K runner, congrats, you can start making your way back to the finish. However, 50 mile runners will need to complete this loop two more times before you head back. I hope you've found this preview to be helpful. Wishing you all a great race!! !